Some of the most important criteria for choosing an accommodation while travelling depend on a multitude of factors. For the usual visitors, that travel solo, with their family or group of friends, the main questions regard the budget, date and duration of the journey. In the case of business men and women, the decision is mostly influenced by the location and its proximity to the meeting venues and access to public or private means of transport. It is very hard to find a hotel that manages to fulfill all of the requests. 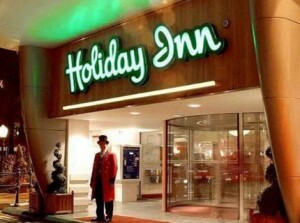 However, Holiday Inn London – Kensington Forum can be the right choice for each taste and need. Besides providing the best prices for luxurious facilities, it is located in the beautiful South Kensington area. This means that you can have access at a walking distance to popular Tube stations that can take you straight to the most beloved British landmarks, such as the London Eye and the stunning Hyde Park. In order to get a Heathrow to Holiday Inn London – Kensington Forum Transfer by rail, you could take the Tube from Heathrow Terminals 1-2-3 (every 10 minutes) followed by a 3 minute walk. This journey will take about 40 minutes. The second option is to take the bus from Heathrow Central Bus Station (every 60 minutes), ending with a 20 minute walk. This journey lasts about 1 hour and 8 minutes. You can also choose a bus from Heathrow Central Bus Station (three times/day) followed by a 19 minute walk. This whole ride lasts about 59 minutes. A Heathrow to Holiday Inn London – Kensington Forum Transfer by car can be done by taking the M4 motorway and then the A4 Road. Heathrow Airport is at a 14.6 miles distance from Holiday Inn London – Kensington Forum. This journey will take about 26 minutes, without including traffic. A Heathrow to Holiday Inn London – Kensington Forum Taxi Transfer with 247 Heathrow Airport Transfer is going to take about 38 minutes, including rush hour traffic. The price for a Heathrow to Holiday Inn London – Kensington Forum Taxi starts from 36 GBP.